Our Dad was a hard working, independent man all of his life. It was a real challenge to find a facility for him when the family decided that he needed additional care. 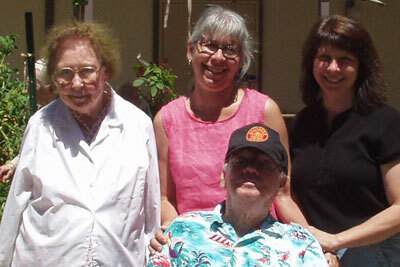 The adjustment was difficult for him, but the Ivy Ridge staff was caring, compassionate and persistent. We are grateful for the care that Dad receives from Ivy Ridge. We find that the staff is very caring and knowledgeable. They are always willing to do the extra things like arranging for physical therapy, keeping him active and providing special refreshments. Dad jokes around and teases the staff which indicates to us that he is very comfortable with everything at Ivy Ridge. We believe that it is important for Dad to be comfortable and happy, where, and with whom, he lives.